2. You must answer the 11 questions given by the person who nominated you. 3. You must post 11 random facts about yourself. 4. You have to pick 5 (or 3 or 11, depending whom you ask) nominees (sometimes with a follower limit) to answer your questions. 5. You can’t nominate the person who nominated you. 6. You must tell the nominees that they have been nominated by you. 1. Which blogs inspired you to start your own blog? Why? I actually didn’t read blogs before starting BalletScoop! I was inspired to learn how to make a website and maybe learn HTML, so I figured I’d play around with WordPress. Then I realized it would be a good way to post information that I don’t get time to tell my students during class, so I decided to make it ballet-focused. I created the name classicalballetteacher (real original, lol), thinking I would just change it to something cooler later on. It became the url for two years before I finally ponied up the funds to get a “real” domain! Since then, I’ve created and written content for many sites for friends both in and outside of dance, including www.liveoakdance.com, http://nolra.wordpress.com, and the soon to be published total revision next month of www.bodyexpressionsdance.com. 3. What do you like to read about on other blogs? Ballet of course, but also many other things like classical music, art, science, and video games. 4. Where do you want to be in 5 years time? Doing more of the same, but hopefully better at all of it! I love my current life. I have a wonderful boyfriend and apartment with two adorable kittens. Wherever they are is where I want to be! One thing I want to change is that I am currently working on getting back in dance shape. A number of injuries have been holding me back, but many are now heading into recovery, so I hope to be taking my own classes regularly (so yes, possibly teaching a lot less…) for my own enjoyment. I’ll never be able to do what I was doing at 18 or 19, but I just enjoy taking class for it’s own sake. I absolutely freaking love moving to music. There’s just nothing like it! At one point in life, I definitely would have said principal dancer for blah blah blah company, but I don’t feel that way anymore. I liked performing well enough, but I’ve discovered with maturity that like dancing for myself a whole heck of a lot more than for an audience. Also, I would have hated the financial constraints! 6. How are you feeling? I love my life. However because I do so many things, I feel like there’s never enough time to devote to everyone and everything in it (my students, my blog readers for dance, my blog readers for games, my day job, my boyfriend, my cats, my apartment which always needs cleaning – thanks cats, my body, my mind, my soul…) So I am very aware right now that I have too many commitments, so I’m not able to do any one thing as well as I feel I should. Getting to share my opinion without having to get anyone’s approval! After teaching for so long, I have found that there is no school where you can have all things done your way all the time and where everyone agrees with your philosophies, so there’s real value for me in being able to have a little world of my own where it’s all based in my opinion. There’s a lot big responsibility there to make sure my facts are correct and that my opinions are based in correct facts, but I like the challenge that presents to make sure I’m on top of my game and a respectable authority on whatever I’m talking about. 8. Who is your idol? Enjoy a great feel-good ballet class or video game. Just had a spectacular class at Alonzo King LINES with Sandra Chinn – visit her class if you’re in SF. Right now, my favorite game is the gorgeous Ni no Kuni: Wrath of the White Witch by Studio Ghibli and Namco Bandai Games. Not learning how to code. Actually, I just signed up for Code Academy, which offers baby-level coding courses online for free. Programming is the most promising career of the future, and its fascinating. Too many people avoid it because they think it’s impossibly hard. If you can learn other stuff, you can learn coding. I wouldn’t call it easy, but will be one of the most useful and rewarding things you do. It’s too late for me to want to pursue it as a career, but I want to learn HTML eventually so I can do more nifty stuff with BalletScoop for you guys! 11. What makes you smile every day? My amazing boyfriend, Brendan, who makes me feel so great about myself and taught me to enjoy life! Our two delightful kittens, Ponyo (there’s another Studio Ghibli reference) and Robin (as in Nightwing, as in Batman’s sidekick, naturally) are nonstop smile-generators. Also my coworkers at Gameloft are hilarious, and that makes work stress so much easier. Finally, my students. They always have something unexpectedly funny to say, and they help me not take myself too seriously, thank god. How did you end up starting a blog? What was your first ballet class like? 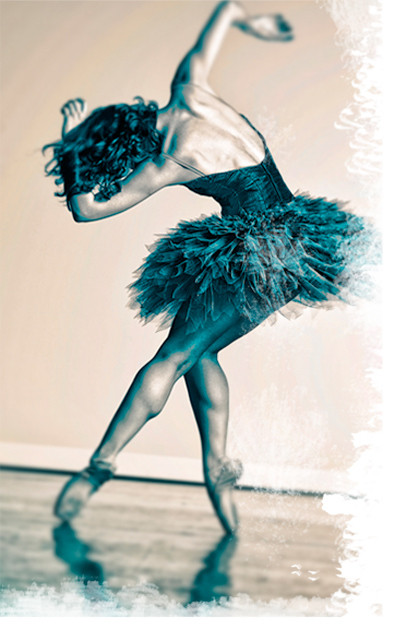 What has been your favorite moment of your dance training or performing career so far? Who is your favorite (live or recorded) accompianist? What is your favorite piece of music you have performed to and why? Who is your idol in dance or in life? What’s your favorite, I-feel-awesome dance class outfit? Thank you CBT! It’s an honor just to be nominated.